This 2016 year that is now ending IDGCA turned 15 years from the date of its foundation. All these years our organization has shown its competency and integrity in all issues covering IDGCA’s scope. The Association has deserved authority among entrepreneurship and authorities and, notwithstanding that direct and fair position does not always go along with interests of some civil servants and officials, we can be proud of the fact that, so far, officially expressed IDGCA experts’ opinion has not been challenged by any State authorities both in Russia and abroad. Also we can be proud that our business for all of these years never has been funded through the budget or any organizations. IDGCA is funded through IDGCA partners’ affiliation fee and money arriving from subsidiary companies. For 15 years our organization has succeeded in resolving issues and getting positive outcome on those key issues in which governmental institutions have not been able to attain success. Fair and professional valuation of regulatory legal instruments (drafts or in force) allowed us to cancel or amend statutory documents which could have impaired business and authorities legitimate interests. This Pre-New-Year time we want to wish our partners, friends and colleagues in 2017 to be successful in business development and prosperity and to maintain or improve your health and family well-being. and of all IDGCA management and personnel. Within the period from 8 to 17 December 2016 the International Staff Training Centre (ISTC) has conducted a training course for the personnel of “Dragon Oil (Turkmenistan) Ltd.” (DOTL) according to the “Basics of carrying out processing operations at an oil terminal” training programme. The training course was attended by two groups of managers and personnel of the “Aladja” oil terminal. This terminal is a special one within the processing equipment complex of the Company’s oil and gas infrastructure ashore. As a consequence of construction of two additional oil reservoirs and pipelines at the “Aladja” terminal, simultaneous loading of two tankers became feasible, thus significantly increasing DOTL’s export capacity. The Company, conducting its consistent policy of providing jobs for local residents, pays its most serious attention to the training of personnel. Specialists are directed for training, on a regular basis, to the Russian Federation, UAE, Malaysia and European States. 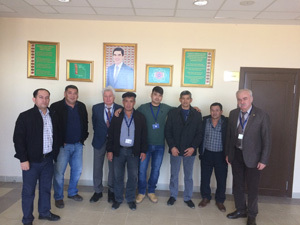 Several hundreds of specialists undergo annually appropriate training abroad for their further work in affiliates of the “Dragon Oil (Turkmenistan) Ltd.” A modern traning centre is established on the basis of the DOTL in Khazar, where local specialists obtain professional knowledge and gain experience and skills in the course of various programmes. During these recent years, ISTS takes rather an active part in such training. For instance, in 2014 and 2015 our centre has conducted training for 4 groups of Company’s specialists in the sphere of loading and unloading dangerous goods. There are all grounds to believe that the mutually beneficial co-operation of DOTL and ISTC will continue. A planned inspection of the Private Institution (PI) for Additional Professional Education (APE) to establish compliance with licensing requirements was carried out by means of a field check, in accordance with a Decree by the Committee for Education of the Government of Saint-Petersburg No. 3224-р dated 11.11.2016. The inspection came to a conclusion that licensing requirements established by sub-paragraphs “a” to “g” of paragraph 6 and sub-paragraphs “a” and “g” of paragraph 7 of the Regulations on licensing of educational activities approved by the Decree by the Government of the Russian Federation No. 966 of 28.10.2013, are followed (Protocol of inspection carried out by the Committee for Education of the Government of Saint-Petersburg No. 128-ЛК of 13 December 2016). U.S. and Canada announce ban on gas and oil production in wide areas of the Arctic, informed Governments of the two countries in a joint statement. 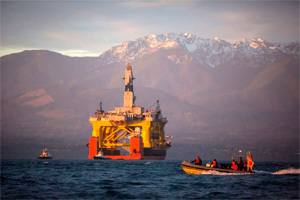 Particularly, the U.S. President Barack Obama announced ban on drilling works to produce oil and gas in a number of areas of the Atlantic Ocean and off Alaska’s coast, and the Prime Minister of Canada Justin Trudeau – in all Arctic waters of Canada, as stated in an announcement circulated by the White House. "Today… U.S. designated the bulk of its territory in the Chukchi and Beaufort Seas as indefinitely off-limits to offshore oil and gas production. Canada, for its part, will prevent future offshore search in all of its Arctic waters", - as it follows from the joint statement by the U.S. and Canada Governments on the Arctic protection. President of U.S. added to the banned zones also Atlantic Ocean areas, including Chesapeake Bay, adjacent to the coast of Virginia and Maryland, as well as to the capital of U.S., Washington. This decision will be under a five-year review. Obama took that decision one month before his resignation. Donald Trump who will become a head of the State on January 20 more than once promised to lift restrictions on oil and gas production in the U.S. – according to Trump, it will provide energy and new job sites to the country. Remains to be seen if Trump could be able to reverse Obama’s executive decree based on interpretations of statutory provisions dating back to 1953. The U.S. and Canada Governments explained their decision ecologically. It is important to preserve conventional way of life of indigenous populations of Alaska and Canada, as it is set out in the statement. Besides, countries point at risks of oil and gas production in remote areas: in particular, it will be quite complicated to eliminate damage caused by accidents. Moreover, local ecosystems are extremely vulnerable to accidents such as oil spillage, the statement amplifies. As TASS news agency informed earlier, Minpromtorg intends to deploy measures for supporting the shipbuilding industry through the "granting recycling subsidy" (trade-in) tool starting from 2017. The "Sea Port Saint Petersburg" JSC (SP SPb is part of the UCL Holding) proceeded with a container service. The Company’s service portfolio is extended to cover transshipment / handling / accumulation of container cargoes, their reception / shipment by sea, inland water, railway and road transport. Earlier containers came to the Company’s berths as an addition to planned, heavy weight and outsize cargoes, as well as in small consignments on board of non-specialized ships. SP SPb accepts for handling 45’, 40’ and 20’ general purpose and refrigerating freight containers with cargoes of all classes of hazard (except for oil products). The main operations carried out are loading and unloading of containers, temporary custody, packing and unpacking and depot services (offering quotas for temporary storage / accumulation of empty containers on the port territory). For handling containers, SP SPb uses two mobile LIEBHERR cranes with spreaders, five reach stackers, terminal tractors and other modern equipment. The area designated for operations with container cargoes occupies 2 ha. It includes berth №29, the railway cargo front containing no less than two container trains, an open ground suitable for simultaneous storage of up to 1700 TEUs, sheltered warehouse 8660 m2, container unloading / loading / repacking area, a refrigerator platform having 96 plugs for refrigerating containers capacity, an inspection complex as well as an area for containers’ weighing. In accordance with standards of container service market, SP SPb implemented new software allowing to organize a time slot system for entering the terminal, as well as online interaction with clients through a specialized web portal. The Ministry of Industry and Trade (Minpromtorg) developed "rules for granting recycling subsidies from the federal budget on purchasing (building) new civil ships replacing those directed to recycling facilities", the newspaper "Vedomosti" informs with reference to the Government draft resolution. According to the document, a ship owner ordering a new ship can recover from the budget 10% (if it is a dry cargo ship, a tanker, a tow boat or a fishing vessel) or 15 % (should it be a cruise liner) of its cost if they send for recycling a ship of a similar displacement aged starting from 30 years. The maximum grant for one ordered ship reaches 70 million rubles for fishing vessels, 80 million rubles for tankers, 85 million rubles for dry cargo ships and 480 million rubles for cruise liners. The order should be placed with a Russian shipyard or Russian leasing company. The Dal’niy Vostok fishing trawler foundered in April 2015 with the loss of 69 hands sailed to the sea for a $500 bribe. This was established in the course of an investigation conducted into one of major last years’ catastrophes involving Russian ships. 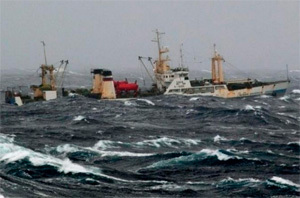 According to Svetlana Petrenko who represents the Investigation Committee (IC) of Russia, though a list to portside when recovering its trawl with 130 t fish catch was the direct reason of the loss of the Large Refrigerator Trawler, a sequence of breaches led to the tragedy involving numerous victims. The investigation established that the vessel was unfit for sea after the Director of the company owning it Mr. Yegor Gashchenko of "Magellan" JSC had retrofitted it in Busan (Republic of Korea) aiming at increase the vessel’s capacity to process daily over 200 t of fish instead of rated 140 t. "As a result, part of structural elements that ensured the vessel’s stability (ability of navigate without loss of balance), including in emergencies, was barely removed. In addition, the vessel having its tanks almost empty, carried on board 1,400 t of fish, which impaired the vessel’s stability", - said the IC representative. According to the investigation, the first deputy of the "Magellan" Director-General Mr. Aleksey Vasin and the deputy Director in charge with safety of navigation Mr. Aleksandr Kudritskiy, kept receiving messages from the Master, Mr. Anatoliy Borisov, stating volumes of catch, and were aware of their excess beyond the allowed limits. They should have prohibited further navigation but failed to do that. Mr. Nikolay Kharchenko, Head of the Safety of Navigation, Certification and Supervision of the Fishing Fleet Department of the State Federal Basin Division "SakhalinRybVod", part of the Federal Agency for Fisheries, according to IC information, had received from his subordinate on the eve of vessel’s departure a notice stating that the vessel had no safety management documentation on board, which should have prevented it from sailing. However, he ignored that fact and issued an interim (for 6 months) safety certificate for the trawler. Mr. Aleksandr Nikodimenko, the surveyor of the Federal Agency for Fisheries, who had inspected the vessel jointly with the border guard personnel already at sea, was aware of excess of people on board over allowable numbers and insufficient life-saving appliances available. "He must have reported it to his principals, but preferred to turn a blind eye to that for a $500 and permitted further navigation", - said the IC representative, noting that at the time of emergency there were no enough lifejackets for everyone. Depending on the role of everyone involved, the IC’s Central Criminal Investigation Department filed charges against them in accordance with Part 3 of Article 263 of the Criminal Code of the Russian Federation ("Violation of safety of navigation regulations and operation of water-borne transport causing death of two or more persons"), Part 3 of Article 290 ("Taking a bribe"), Part 3 of Article 285 ("Abuse of power") and Part 3 of Article 293 ("Negligence"). The criminal case against the "Magellan" JSC Director-General Mr. Yegor Gashchenko will be considered separately, he is accused in his absence of having breached Part 3 of Article 263 of the Criminal Code of the Russian Federation and put on the Interpol’s wanted list. The Dal’niy Vostok fishing trawler foundered in the Okhotsk Sea on April 2, 2015. The IC representative said also that "the investigation had taken care for compensating damage and loss to victims, having arrested assets and accounts of the "Magellan" company totaling 13 million roubles, as well as the Andromeda vessel. In addition, property of the accused worth over 15 million roubles was put under arrest. The criminal case together with the endorsed approved verdict has been passed to the Municipal Court of Yuzhno-Sakhalinsk for trial in substance. According to the report of the Association of Russian Sea Trade Ports, container turnover of Russian ports within the period from January to November 2016 reached 3.6 million TEUs which exceed the figures pertaining to the same 2016 period, by 1%. Container turnover rates of growth tend to increase: while within the period from January to October 2016 these rates showed 0.2% only, within the reference period they reached 1%. The previous periods were characterized by recession. The rate of growth of turnover for domestic containers within the reference period equaled to 8.1% - from 538.94 to 582.45 thousand of TEUs (with 9.7% for packed containers and 5.5% for empty units). Numbers of import containers transshipped within the period from January to November of the current year exceed the figures of the previous one by 1.6% to reach 1.52 million TEUs. Transit fell compared to the previous year period from January to November by 29.1% to 45.17 thousand TEUs (transshipment of empty containers fell by 93.2% and of packed containers by 3.9%). Transshipment of export containers decreased by 0.9% to 1.49 million TEUs (transshipment of empty containers fell by 19.3%). Arctic ports showed increase in container turnover within January to November by 11.8% to reach 140.05 thousand TEUs. Container turnover of Baltic ports grew by 1.6% to 1.84 million TEUs, that of Azov and Black Sea ports grew by 3.4% to 560.66 thousand TEUs. Far East ports showed decrease in turnover figures of 2.5% down to 1.09 million TEUs, and Caspian ports of 21.4% down to 2.02 thousand TEUs. The share of container transshipment in Baltic ports equaled to 50.8% of the total container turnover in Russia, whereas the share of Far East ports equaled to 29.9%. Order of the Federal Environmental, Industrial and Nuclear Supervision Service No. 471 of 14 November 2016 "On the approval of the format of Act stating reasons and circumstances of accident at a hazardous installation and of the format of report on accident at a hazardous installation". Registered in the Ministry of Justice of the Russian Federation on 12 December 2016; registered number: 44649. Rules of investigations into the reasons of accidents at hazardous installations such as elevators and escalators (except for escalators in subway lines) and lifting platforms for handicapped were brought in line with the amendments to the Law on insurance of civil liability of owners of hazardous installations for damage caused by accidents to this equipment. A list of hazardous installations subject to technical investigation into accidents involving them to be conducted in accordance with the Rules mentioned, has been supplemented by passenger conveyors (travolators). In this connection, new formats of reporting on accidents at hazardous installations and of the Act stating reasons and circumstances of an accident have been approved. Beforehand, and Act of technical investigation into causes of accident had to be drawn up. Formats of documents valid prior to this arrangement have been recognized as invalid. Can a building construction company change its self-regulating organization (SRO) within one constituent of the Russian Federation? A letter by the Ministry of construction, housing and public utilities of the Russian Federation No. 38816-ХМ/02 of 21 November 2016 «On procedures of transferring building construction companies from one self-regulating organization to another, located in the same constituent». An issue of possibility of transfer building construction companies from one SRO to another, located in the same constituent of the Russian Federation, has been considered. It has been pointed out that current legislation in force establishes the duty for legal entities and individual entrepreneurs (IP), who were registered earlier in the same region located not at the site of SRO incorporation, to undertake their transfer into another SRO at the site of their State registration incorporation. The duty to cancel membership in a SRO registered in the same Federation constituent where the company (or IP) is registered is not envisaged for the purposes of such a transfer. In this connection, the provision on transferring instalment made to the SRO compensation fund cannot be applied for the purposes of transfer of legal entities and/or IPs to another SRO within the same entity of the Federation. The reason therefor is that that such entities or IPs, before taking decision on a voluntary cancellation of their membership, already were members of SROs which were registered in the same Federation constituent as the entities mentioned. Consequently, voluntary cancellation by these entities of their membership in an SRO and their transfer into another similar SRO within the same Federation constituent would be made for other purposes, that would contradict the legislation. We inform our readers of the issuance of a joint circular by the IMO Maritime Safety Committee (MSC) and Marine Environment Protection Committee (MEPC) MSC-MEPC.2/Circ.16, which offers an example of a certificate of protection for products requiring oxygen-dependent inhibitors. This circular covers cargoes subject to the International Code for the Construction and Equipment of Ships carrying Dangerous Chemicals in Bulk (aka International Bulk Chemicals Code, or IBC). The example provided by this circular is not mandatory; however, its use in the international trade is highly desirable, as it may facilitate formalities related to the carriage. The example attached is accompanied with an unofficial translation in Russian made by the International Dangerous goods and Containers Association provided for information purposes only. An expert committee convened by the World Meteorological Organization has established a new world record significant wave height of a massive 19 meters (62.3 feet!) measured by a buoy in the North Atlantic. The wave was recorded February 4, 2013 by an automated buoy in the North Atlantic ocean between Iceland and the United Kingdom at approximately 59° N, 11° W. The agency said the wave followed the passage of a very strong cold front, which produced winds of up to 43.8 knots (50.4 miles per hour) over the area. 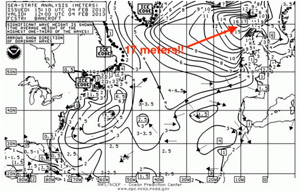 gCaptain actually reported about the storm while tracking it across the northeastern Atlantic, and at one point we saw it producing significant wave heights of 17 meters (about 56 ft)! Keep in mind wave the term "significant wave height" means the average of the highest one-third of waves, so individual waves could be much higher! 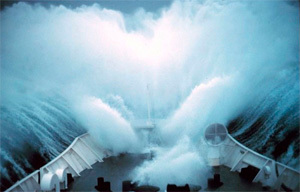 The WMO Commission for Climatology’s Extremes Evaluation Committee, with scientists from Great Britain, Canada, the United States of America and Spain, classified the new record as "the highest significant wave height as measured by a buoy". "This is the first time we have ever measured a wave of 19 meters. It is a remarkable record," said WMO Assistant Secretary-General Wenjian Zhang. "It highlights the importance of meteorological and ocean observations and forecasts to ensure the safety of the global maritime industry and to protect the lives of crew and passengers on busy shipping lanes." The WMO says the previous record wave height of 18.275 meters (59.96 feet) was measured on 8 December 2007, also in the North Atlantic. The buoy which recorded the wave is a part of the UK Met Office’s network of Marine Automatic Weather Stations, used to complement ship-based measurements and satellite observations which monitor the oceans and forecast meteorological hazards on the high seas. "We need high quality and extensive ocean records to help in our understanding of weather/ocean interactions," said Zhang. "Despite the huge strides in satellite technology, the sustained observations and data records from moored and drifting buoys and ships still play a major role in this respect." "The new world record will be added to the official WMO archive of weather and climate extremes which is being constantly updated and expanded thanks to continued improvements in instrumentation, technology and analysis," said Randall Cerveny, Joint Rapporteur on World Records of Climate and Weather Extremes for WMO. Decision of the Board of the Eurasian Economic Commission of 6 December 2016 No. 160. EAEU Technical Regulations "Requirements for liquefied hydrocarbon gases used as fuel" (TR EAEC 036/2016) will enter into force on January 1, 2018. It was decided in this connection to establish a number of transitional provisions. In particular, documents attesting compliance issued before the entry of the Technical regulations into force will keep their validity until expiry date, but in no case later than 1 July 2019. Products in accordance with such documents may be manufactured and released for conveyance until the same date. Products will be marked by the national mark of compliance (market circulation mark) in accordance with the Member State’s legislation. Marking of such products with the unified Union’s market circulation mark will not be allowed. Conveyance of the above products is allowed within the period of their warranted shelf life, as established in accordance with the Member State’s legislation. It is expected, inter alia, to develop a draft list of products for which customs declarations should be accompanied by submission of a document which would attest their compliance with the Technical Regulations. It is expected also to elaborate a draft programme of development of inter-State standards containing rules and methods of research (testing) and measurements necessary for the implementation and enforcement of the Technical Regulations. This Decision will enter into force as from the date of the entry into force of the Decision by the Eurasian Economic Commission on the adoption of TR EAEC 036/2016, but not earlier than 30 calendar days from the date of its official publication. Please see also news released on our site on 1 November. Prevention of industrial accidents and preparedness to respond promptly if they occur were at the heart of the discussions in Ljubljana, Slovenia, where the ninth meeting of the Conference of the Parties to the Convention on the Transboundary Effects of Industrial Accidents was held from 28 to 30 2016. Parties adopted a workplan for the next two years and reaffirmed their commitment to cooperate in preventing industrial accidents from happening and being better prepared to respond promptly to accidents if they occur. The meeting opened with a joint UNECE/OECD seminar on fostering implementation of the sustainable development agenda for industrial accidents prevention, preparedness and response. UNECE Deputy Executive Secretary Andrey Vasilyev stressed the important role of cooperation on industrial and chemical accidents prevention in contributing to the achievement of the 2030 Agenda for Sustainable Development and the Sendai Framework for Disaster Risk Reduction. The gathering allowed policymakers, first responders and researchers to discuss approaches for strengthening their cooperation in technological disaster risk reduction at a side event organized with the European Commission’s Directorate-General on Migration and Home Affairs. Among other decisions taken at the Conference, it was agreed that the Joint Expert Group on Water and Industrial Accidents, overseen by the Bureaux of the Industrial Accidents Convention and the Convention on the Protection and Use of Transboundary Watercourses and International Lakes, will work on the elaboration of guidance on fire water retention. This work kicked off at a side event to the main meeting on UNECE tools and approaches for preventing accidental water pollution and its transboundary consequences. A new guidance document on land-use planning, the siting of hazardous activities and related safety aspects was presented to the meeting participants. This will be a valuable tool for countries striving for sustainable development and the avoidance of disasters that might result from bad siting of hazardous activities or poorly controlled development around existing sites. The Parties to the Convention decided to meet again in 2018. 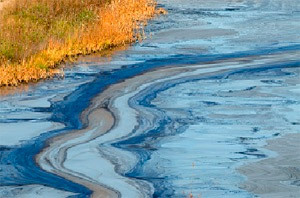 The 1992 Convention on the Transboundary Effects of Industrial Accidents is designed to protect people and the environment against industrial accidents, as well as to provide measures on minimizing their consequences . To date there are 41 Parties to the Convention: Albania, Armenia, Austria, Azerbaijan, Belarus, Belgium, Bosnia and Herzegovina, Bulgaria, Croatia, Cyprus, Czechia, Denmark, Estonia, European Union, Finland, France, Germany, Greece, Hungary, Italy, Kazakhstan, Latvia, Lithuania, Luxembourg, Monaco, Montenegro, Netherlands, Norway, Poland, Portugal, Republic of Moldova, Romania, Russian Federation, Serbia, Slovakia, Slovenia, Spain, Sweden, Switzerland, the former Yugoslav Republic of Macedonia and the United Kingdom of Great Britain and Northern Ireland. We would like to remind our readers that the requirements of the International Code for Ships Operating in Polar Waters (Polar Code) will take effect for ‘new’ ships in terms of that Code, as from 1 January 2017, simultaneously with the entry into force of amendments to SOLAS (new chapter XIV) and MARPOL (amendments to Annexes I, II, IV and V). ‘New’ ships in the context of the Code are ships constructed on or after 1 January 2017, whereas for ‘existing’ ships, i.e., those constructed before 1 January 2017, compliance with the requirements of the Polar Code shall be ensured by the date of first intermediate survey or renewal survey, whichever takes place earlier, after 1 January 2018. The International Polar Code (referred to hereinafter as IPC) comprises two Parts, I and II, first dealing with safety issues, and second covering pollution prevention aspects. Each of these Parts, in their turn, consists of two sections (А and В), first containing requirements (i.e., mandatory regulations), and second – provisions, having a recommendatory status. In general, IPC may be described as an international instrument supplementing the SOLAS and MARPOL Conventions. In addition to mandatory certificates required by SOLAS, ships subject to IPC shall have on board a so-called ‘Certificate for Ships operating in Polar Waters’ (Polar Ship Certificate) and a Polar Water Operational Manual. Two particular features of the Polar Code deserve to be noted: first, its Part II does not provide for any additional requirements with regard to MARPOL Annex III (prevention of pollution by packaged dangerous goods), as it is considered that MARPOL Annex III already contains sufficient and effective measures against pollution by cargoes subject to the IMDG Code, including in polar waters. Secondly, IPC does not offer, at least at present, any additional requirements relating to MARPOL Annex VI (prevention of air pollution from ships). At the same time, taking into account the need for ships capable of carrying out ice management operations, to have significant power capacity of their propulsion plants, MARPOL Annex VI exempts cargo ships possessing an icebreaking capability from the requirements on energy efficiency; the icebreaking capability is defined in Annex VI as ship’s ability of advancing independently in level ice 1 m thick at a speed of not less than 2 knots. It is expected that the work of the International Maritime Organization on the Polar Code will be continued to extend its scope to ships which are not subject to the SOLAS Convention – fishing and leisure vessels, and alike, in the course of the second phase of works. The Director-General of IDGCA Mr. M. Ognev, Deputy Director-General Mr. V. Semenov and Assistant to the Director-General Ms. A. Pilieva on the 5th and 6th of December took part in the deliberations of the VI International Forum "Arctic: Today and the Future". The representatives of IDGCA took part in a working session "Topical issues of ensuring transport safety in the Arctic", subject of which was the closest to the professional sphere of IDGCA’s activity. They note the relevance of the discussed issues, high activity and concern of the participants during the discussion of the presentations and, on the whole, excellent level of the organization. The Forum participants from IDGCA appreciate the high level of organization of the event. On their part they believe that efficiency and feedback of similar conferences and fora would be substantially higher, provided that the list of topics meant for discussion could be supplemented with legal regulation issues pertaining to the safety of transportation in the Russian Federation, due implementation of international treaties to which the Russian Federation is a Party, into domestic law enforcement system, and aspects of responsibility of each participant of cargo delivery chain – from the State and industry authorities to carriers, stevedores and consignees. Decree by the Government of the Russian Federation No. 1269 of 30 November 2016 "On the introduction of amendments into the Regulations on the accreditation of legal entities undertaking assessments of vulnerability of transport and objects of transport" (not yet in force). Regulations on the accreditation of legal entities undertaking assessments of vulnerability of transport and objects of transport infrastructure have been rectified. Requirements on training and appraisal for the personnel of a specialized organization have been excluded. The latter, as clarified by the document’s initiators, do not belong to staff ensuring the transport safety. The Republic of Belarus has become the latest Member of IMO, following the deposit of an instrument of acceptance of the Convention on the International Maritime Organization with the Secretary-General of the United Nations on 29 November 2016. With the acceptance of the Convention by Belarus, the number of IMO Member States stands at 172, with a further three Associate Members. Cooperation of the International Staff Training Centre (ISTC) with the "Dragon Oil (Turkmenistan) Ltd." (DOT Ltd.) Company which is the largest international enterprise engaged in exploration and production of oil and gas in the Cheleken area located in the offshore zone of Turkmenistan, including two fields, the "Jeytune" oil field and "Jigalybek" gas field, is continuing. Earlier, the managing and engineering personnel of that Company underwent in ISTC a refresher training course on the subject of transportation and handling of dangerous cargoes. This time, training in accordance with the programme "Basic Safety of Processing Operations in Oil Terminal" will be conducted for the DOT Ltd. Company’s personnel within the period from 8 to 17 December 2016. In the course of training, attendees will be acquainted with main requirements of international conventions, codes, guidelines and provisions of standards in the said sphere, and will study the experience gained while operating oil terminals. 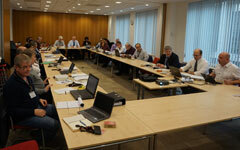 The 97th session of MSC was held in London at the IMO’s Headquarters from 21 to 25 November. The decisions related to the carriage of cargoes and containers are as follows. 6. by circulars MSC.1/Circ.1559 and MSC.1/Circ.1560, correspondingly, MSC adopted unified interpretations to the IGF and IGC Codes. The documents referred to above will be issued and circulated by the Secretariat when prepared. A regular graduation of specialists in loading and unloading operations pertaining to dangerous goods took place at the International Staff Training Centre on 25 November 2016. The trainees have examined main provisions of international conventions, regulations and standards as well as requirements of the Russian legislation in the sphere of regulation of carriage and handling dangerous goods by different transportation modes. The group of trainees included representatives of various companies from St.-Petersburg, Novorossiysk, Arkhangelsk, the Federal State-Funded Institution "Pechoravodput Administration" and Federal State Unitary Enterprise "Directorate for Construction in the Far East Federal District". As a result of training, the attendees have upgraded their skills and obtained certificates of advisers in the safety of dangerous goods transportation issued by the International Dangerous Goods & Containers Association. Adopted on 28 December 2013, Federal Law No. 412-ФЗ "On Accreditation in the National Accreditation System" introduced substantial changes into the legislation in the sphere of technical regulation. In order to empower accreditation authority, a new State entity was established, namely the Federal Accreditation Service, or "RusAccreditation", in parallel with a number of non-commercial organizations rendering accreditation-related services. Any organization (whether a certification body or a testing lab), having forwarded its application to "RusAccreditation" for obtaining a State-rendered accreditation service, is then directed to one of the affiliated expert organizations. Under the circumstances, the Applicant has no right to object to such offer and choose another expert body. So in fact, "RusAccreditation" makes the Applicant concluding an agreement for fee-based services with an expert body selected by it. Worth to note that in spite of the agreement concluded between the Applicant and expert organization, the latter de facto does not assume any responsibility for the quality of its services. Regulatory acts by the Ministry of Economic Development and RusAccreditation to that effect are rather prolix and open to multiple interpretations. It is not surprising some expert organizations participating in rendering State accreditation services take advantage thereof. Having applied to RusAccreditation for obtaining State accreditation services, the Applicant finds himself or herself in the hands of people selected in a most unclear manner who, being paid by the Applicant, assess and check his or her compliance with the accreditation criteria, and what is most worrying is that there is no any certitude as regards their objectivity and impartiality. Quite often they are not barely motivated in providing accreditation to the applicant, as they have interest in other certification organs or testing labs working in the same field, or co-operate with them. The accreditation system is arranged in such a way that, wishing to get some information or decision, the Applicant is forced to tumble between RusAccreditation, expert organization and accreditation expert. Should one decide to get in touch with the expert organization for info or clarifications, he/she would be immediately re-directed to RusAccreditation. Should one contact the accreditation expert, he/she would be advised to go to the expert organization or RusAccreditation. Should one prefer to contact RusAccreditation itself, he or she should be prepared for months-long suspense and, finally, an obscure document clearly lacking objectivity. It is practically impossible to make a phone call to RusAccreditation and get any distinctive reply. So it is not by chance that multiple organizations having long-term experience in the sphere of compliance assessment and corresponding to all accreditation criteria are denied, whereas entities which do not have competent and professional experts, but marketing managers as a majority of their personnel, do pass their accreditation. The present accreditation system is not transparent and is quite complicated. Frequent rotation of managers in RusAccreditation also does not contribute to improving quality of State-rendered accreditation services. The current accreditation practice and artificial restrictions imposed had as their result the fact that those organizations that have obtained their accreditation limitations bitingly jacked up their price lists for certification of products. Certification of just one article, to say nothing about prototype testing fees, may cost over 200,000 rubles. Naturally, the charge for such certification will be transferred on Russian business and Russian manufacturers, who will have to purchase certificated articles at a price much higher than the price of similar products abroad, which have certificates issued by certification entities recognized by the international community. In the opinion of NP "IDGCA" experts, the current accreditation system needs to undergo fundamental changes. Despite views expressed by many developers of the existing system that it is based on western experience and replicates principles of international accreditation systems, we would daresay it is not so. Western accreditation systems imply the availability of a national accreditation organ which is not a State organization and does not have authoritative powers. It consolidates the work of the accreditation system, establishes expert groups, concludes direct agreements with applicants and assumes responsibility over the quality of services rendered (not by the State). In our case, RusAccreditation has unlimited powers in relation to entities undergoing accreditation or accredited, having the right to suspend or cancel their accreditation or impose substantial penalties. The existing accreditation system cannot match at all the tasks formulated by the President and the Government of the Russian Federation for State civil servants on providing favourable conditions for business. Certification is a business all over the world, and the business should not be directly controlled by State authorities: otherwise it may turn into a clumsy state-rendered service. National accreditation body and expert organizations should possess qualities such as transparency, integrity, commitment, competence, impartiality in order to gain confidence of accredited or undergoing accreditation entities, as applicants are expected to submit to them inside Company documents containing confidential commercial information, personal and other data of a delicate and sensitive kind. We believe it would be possible to restore confidence in RusAccreditation and expert organizations, however, in our view; this is subject to restructuring of the existing accreditation system, which may bear signs of plain corruption, when the same service is rendered by the State entity and an organization providing paid accreditation services. It is just surprising that such system co-exists with the enormous efforts by the President and Government of the Russian Federation to fight and eliminate corruption. In an attempt to render assistance to our site’s visitors in planning their activities in 2017, we are pleased to offer them a preliminary version of events expected to take place in 2017. Please note the list does not include references to meetings of working organs of intergovernmental organizations such as IMO, UN ECE, ILO and the like; these may be easily obtained from the Internet. Modifications and additions to the list are quite likely for obvious reasons, so we will try to keep our readers aware of all further developments. IDGCA's representatives will take part in the upcoming VI International Forum "Arctic: present and future"
The VI International Forum "Arctic: Present and Future" will be held from 5 to 7 December 2016 in the Conference & Exhibition Centre "Expoforum" of Saint-Petersburg. It is organized by the interregional public organization "Association of Polar Explorers". The annual Forum is expected to sum up public discussions on Arctic and form an agenda for the interaction of the authorities and society related to the exploration of Russian Arctic area. The event’s programme follows priority directions as these are laid in the Strategy of Exploration of Russian Arctic Area. In the course of more than 30 sessions and round table discussions scheduled participants will assess a need in enhancing legislation on Arctic and widening co-operation among regions, agencies and industry branches. "As at present, Arctic is a strategically important direction of Russia’s further development. This macro-region will contribute to the acceleration of economic growth of the State, improvement of life quality and wellbeing. Establishment of favourable living and working conditions for people in the Arctic area is the main goal of the State’s policy in that sphere", - believes Mr. Arthur CHILINGAROV, Chairman of the Organizational Committee of the Forum, MP of the State Douma, President of the Interregional Polar Explorers’ Association and Special Envoy of the President of the Russian Federation for Arctic and Antarctic matters. The Forum is expected to adopt a resolution which is supposed to encompass proposals and initiatives put forward by the society, aimed at developing the Russian Arctic area and meant to be conveyed to the State authorities. More than 1200 representatives of federal ministries and agencies concerned , of the Russian Parliament, regional authorities, Russian and foreign companies and research institutions and media are expected to take part in Forum’s deliberations. The programme of the event includes an exhibition dedicated to the projects being implemented in Arctic and to technologies aimed at developing the Arctic area. Registration for the Forum is now on; in parallel with it, proposals for discussion at its sessions and initiatives to be reflected in the Final Public 2016 Resolution are being collected for consideration. The Forum has the First Arctic Consortium as its Official Partner. The Consortium includes members such as "Oboronlogistika" LLC, "Sovfrakht" PLC and the FESCO Group. Among the Forum’s partners are "Gazpromneft" PLC, "GMK "Noril’skiy Nikel’ PLC, "Fertoing" PLC and "Onego Shipping" LLC. Our Association will be presented at the Forum by its Director General Mr. Mikhail OGNEV, one of his deputies and an assistant. SOLAS VGM (verified gross mass of packed containers): is everything settled? While worldwide industry compliance with the requirement for every packed container to have a VGM as a precondition of its loading on board a ship seems reasonably high, there are still doubts about the extent to which those VGMs are generated from an actual weighing process. A few weeks ago a small container vessel the CYGNUS (LOA 86.5m, beam 12.8m) was reported to have lost stability during loading operations at Santo Tomas de Castilla, Guatemala. The vessel apparently listed port side, then tipped starboard, which had wrongly reported container weights and miscalculations in the load plan as the reasons behind. The vessel was righted by relocating containers and adjusting the load plan, and it sailed with only a few hours delay. Though there are no more so much convincing examples of non-compliance with SOLAS requirements, the incident involving the CYGNUS demonstrates that problems with weighing containers are not yet removed completely; in particular, there may be problems related to scale quality and accuracy, issuance of type approvals, weighing information management, varying implementation in different countries, responsibility of participants to the supply chain, etc. How amendments to the Technical Regulations on the safety of mechanical installations and equipment are being implemented? Decision by the Board of the Eurasian Economic Commission No. 147 of 15 November 2016 "On the procedures of implementation of amendments to the Technical Regulations of the Customs Union "On the safety of mechanical installations and equipment" (ТР ТС 010/2011)". It was decided that documents concerning the assessment of compliance of mechanical installations and equipment with the mandatory requirements of the Technical Regulations on the safety of such products (ТР ТС 010/2011) issued or accepted before the entry into force of amendments to the said Regulations (Decision by the Council of the Eurasian Economic Commission No. 37 of 16 May 2016) are considered as valid until their expiry date. Manufacturing and release for circulation of products subject to the Technical Regulations in the territories of Member States of the Eurasian Economic Community are permitted until expiration of documents concerning their compliance assessment. Circulation of products manufactured and/or released for circulation within the validity period of such documents is allowed until their expiry date. The Decision enters into force 30 days upon the date of its official publication and covers legal relations arising as from December 2, 2016. As it is known, the IMO’s Maritime safety Committee adopted, by its resolution MSC.406(96) of 13 May 2016, a new edition of the IMDG Code. This amendment has an index 38-16, which means the sequential number of the amendment (38) adopted in 2016 (16). The amendment will enter into force on 1 January 2018; however, it may be implemented by Contracting Governments to the SOLAS Convention as from 1 January 2017 on a voluntary basis. 16. a new label (Symbol 9А) has been introduced for lithium metal and lithium ion cells and batteries. Apart from the above, references to new and / or updated ISO standards have been introduced into the IMDG Code for gases and the design and construction criteria of UN pressure receptacles and multi-element gas containers (MEGCs). The present material is intended to render assistance to those concerned in their preparation to forthcoming changes of international legislation related to the transportation of dangerous goods. It is worth to remind here once again that the above list of changes in no case is exhaustive and refers just to main of them. Subject: Order No. CC-1096фс by the Federal Service for Supervision in the Sphere of Transport of 18 October 2016 "On the approval of a list of acts containing mandatory requirements which are to be complied with and whose observance is subject to assessment while taking control measures in effecting the Federal State control (supervision) in the field of transport safety by the Federal Service for Supervision in the Sphere of Transport". A list of acts containing mandatory requirements in the sphere of transport safety which are to be complied with and whose observance is subject to assessment while effecting supervision over the transport safety, has been approved. 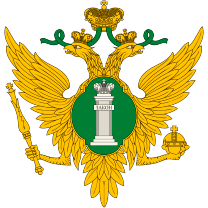 It incorporates federal laws (including the Air Code of the Russian Federation), decrees by the President of the Russian Federation, resolutions and orders by the Government of the Russian Federation, regulatory acts by the federal executive authorities (e.g., orders of the Ministry of transport), as well as regulatory acts by executive and State authorities of the USSR and RSFSR (stands for Russian Soviet Federal Socialist Republic). The list will be placed on the official site of Rostekhnadzor (stands for Federal Environmental, Industrial and Nuclear Supervision Service of Russia). Following the request from our partners - RPMASA (stands for RESPONSIBLE PACKAGING MANAGEMENT ASSOCIATION OF SOUTHERN AFRICA) – we are pleased to introduce to our readers a regular Newsletter of this Association. The International Chamber of Shipping (ICS) has applauded the decision by the IMO Marine Environment Protection Committee (MEPC) to develop a comprehensive Road Map for cutting CO2 emissions from international shipping. It is envisaged, in particular, that CO2 reduction commitments would be agreed by IMO by 2018. ICS Secretary General, Peter Hinchliffe noted, in particular, that the IMO decisions on substantial CO2 reductions being successfully implemented these days were adopted by IMO in 2011, four years before the Paris Agreement. The final stage of the Road Map to be enacted by 2023 is intended to establish a global mechanism for ensuring that these CO2 reduction commitments will be met by all Parties. According to ICS, the decision on a mandatory global CO2 data collection system for shipping will become a significant step in refining the commitments of all Parties, and these refined data are expected to be available in 2019. It is noted that CO2 emissions from international shipping were reduced by more than 10% between 2007 and 2012, and their planned reduction parameters established earlier may be revised further downwards. The ICS whose member national shipowners’ associations represent over 80% of the world merchant fleet, plans to come forward with detailed proposals already in 2017 in agreement with other international shipowner associations. Though ICS has welcomed the forthcoming entry into force of the IMO Ballast Water Management Convention in September 2017, its Secretary General notes that complete details of its implementation are unavailable, whereas there is a clear shortage of global dry dock capacity for retrofitting existing ships by the time required. This uncertainty is further compounded by the United States, which continues to use a different type approval regime for ballast treatment installations. ICS welcomes the IMO’s decision on the implementation date of the global sulphur cap in 2020 of 0.50% or less (outside of Emission Control Areas). At the same time it is noted that the price of compliant fuels is expected to rise between 50% and 100% more than the residual fuel currently burned by ships. ICS emphasizes the necessity of a smooth transition towards new fuels, given that about 90% of world trade is carried by sea. Natural gas may be used as alternative fuel, however, uncertainty in future price for gas make the shipowners’ choice much uneasy. Fuel costs which are high enough by now, will continue to be the largest operating expense, still exactly these costs will provide a further incentive to find ways to reduce fuel consumption, and this will contribute to further reduction in CO2 emissions. Under the new requirements, ships of 5,000 gross tonnage and above will have to collect consumption data for each type of fuel oil they use. The requirements were adopted by the IMO’s Marine Environment Protection Committee, (MEPC) meeting in London for its 70th session (24-28 October). The MEPC also approved a roadmap (2017 through to 2023) for developing a "Comprehensive IMO strategy on reduction of GHG emissions from ships", which foresees an initial GHG strategy to be adopted in 2018. From 17 to 21 October 2016, 44 specialists of "Sovfracht-Yamal" Ltd ("Yamal Stevedores" Ltd) underwent training in accordance with the refresher programme in the field of transportation and handling of dangerous goods at the International Staff Training Centre (ISTC). This company plays a key role in the application of logistic schemes related to the implementation of "Yamal LNG" project, which envisages completion of the construction of a plant producing liquefied natural gas with a capacity of 16.5 million tons per year on the resource base of the South Tambeyskoye gas field located in the North-East of the Yamal Peninsula. Availability of specialists who underwent the appropriate training in the field of transportation and handling of dangerous goods is one of the requirements facing organizations which intend to obtain a license to carry out loading and unloading operations involving dangerous goods in inland water transport and in sea ports, as this is required by Decree № 193 of March 6, 2012 "On licensing of certain types of activities in the maritime and inland waterway transport" issued by the Government of the Russian Federation. A draft Order of the Ministry of Transport of the Russian Federation "On approval of the rules for cargoes transportation by railway in bulk" (prepared by the Ministry of Transport of Russia on 14.04.2016). They intend to update the rules for cargoes transportation by railway in bulk. In bulk will be transported goods the loading of which is made with or without stowage inside the waggon, and which cannot be attributed to bulk cargoes by their physical properties or geometrical dimensions. The consignor will be obliged thereby to indicate the number of cargo units presented for the bulk transportation in one waggon provided their quantity does not exceed 100 units. If this quantity exceeds 100, these cargoes are presented for transportation with an indication of the number of units at consignor’s discretion. Cargoes requiring protection from atmospheric precipitations and blowing-off will be transported in bulk, including in general purpose roofed and open waggons with waggon liners. Bulk goods unitized in overpacks will be transported in accordance with the relevant regulations. Roofed waggons may be used for transportation of these cargoes, whether or not contained in overpacks. Subject: finalized draft text of an Order of the Federal Environmental, Industrial and Nuclear Supervision Service of Russia "On introducing amendments to certain orders of the Federal Environmental, Industrial and Nuclear Supervision Service of Russia in respect of realization of certain authorizations to bring these orders into conformity with the legislation of the Russian Federation" (prepared by Rostekhnadzor on 30.09.2016). Draft amendments to certain Acts of the Federal Environmental, Industrial and Nuclear Supervision Service of Russia were finalized. In particular, they introduce amendments to the rules of conducting technical investigations into accidents, incidents and cases involving loss of explosive materials used for industrial purposes in facilities under Service’s supervision. Concept of a "Hydraulic Structure Damage" is excluded. The term "accident" specified by the legislation on safety of hydraulic structures is mentioned instead. An incident occurred at a hydraulic structure is excluded from the list of events subject to investigation. The procedure of issuing industrial safety declarations for hazardous production facilities is adjusted. The rules of publication and entry into force of the Federal Environmental, Industrial and Nuclear Supervision Service of Russia, recognized by Ministry of Justice of the Russian Federation as not requiring the State registration, were corrected as well. 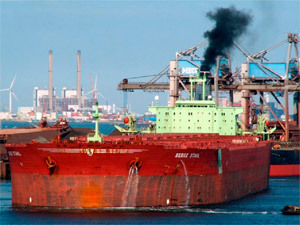 Last Thursday (on 27 October) IMO, a specialized UN shipping Agency, adopted new requirements restricting sulfur oxides’ emissions from ships, which will enter into force in 2020. The new regulations will cut the sulfur contents from the current maximum of 3.5 percent of fuel down to 0.5 percent. The move, much costly for owners, will find the shipping industry at a time when it is already subjected to crisis conditions; for the container shipping sector alone additional expenditure could reach $35 to $40 billion, as analysts report. Switzerland-based MSC, the world’s No.2 container line, estimated its own additional annual fuel costs at $2.02 billion. Another consequence of implementation of these new regulations is the necessity to invest significant amounts into refining facilities, as well as uncertainty as to whether they would be able to supply enough fuel to meet demand. At present, around 3 million barrels per day of high-sulfur fuel oil go into bunker fuel for ships, and most of that will be replaced with lower-sulfur distillates. The IMO’s decision was welcomed by environmental groups, especially bearing in mind that the other target date as an option considered by IMO was 2025. As ecology experts estimate, the contribution of shipping to the world’s air pollution impact will decrease from about 5 percent down to 1.5 percent and will save millions of lives in the coming decades. The decision on a critical cut of sulfur contents in ship fuel by 2020 was taken at IMO by its Marine Pollution Prevention Committee (MEPC) at its 70th session held last week in London in IMO HQ. Decision of the Eurasian Economic Commission Council as of August 9, 2016 №68 "On Eurasian Economic Commission Technical Regulations "Liquefied hydrocarbon gas requirements" (not yet in force). EAEU Technical Regulations "Liquefied hydrocarbon gas requirements for use as fuel" (TR EAEC 036/2016) have been presented. They will enter into force on January 1, 2018. They prescribe requirements to storage, transportation, sale and disposal and gas labeling. Their purpose is to allow free conveyance on the territory of the Union. The Technical Regulations cover liquefied hydrocarbon gases put into circulation and circulated on the territory of the Union, which are intended for household as well as for industrial use as fuel, and also for use as engine fuel for road transport. Aspects of conformity assessment and mandatory endorsement of conformance to the requirements of the Technical Regulations have been settled. Liquefied hydrocarbon gases are labeled with a unified circulation mark on the EAEC market. This mark is to be indicated in the Quality Certificate. The decision will enter into force upon expiry of thirty calendar days from the date of its official publication. The 5th International Conference on development of ports and shipping and the "TRANSTEC-2016" Exhibition was held from 4 to 6 October 2016 in St.Petersburg in Hall 7 of the LENEXPO exhibition complex. This year's conference had a most extensive agenda over the last 12 years, including its plenary session, 9 round tables, plenary and breakout sessions, conferences, public expert discussions and thematic public lectures. The events were attended by more than 600 speakers and delegates representing over 370 companies and organizations from Russia, Finland, Norway, UK, Italy, Germany, Spain, Algeria, Azerbaijan, China and the countries included in the International Expert Council on cooperation in the Arctic. Russian marine news Publishing house. All the above-mentioned organizations directly participate in the elaboration of state, industry and individual infrastructure and business development programmes for the development of ports and shipping in different constituent regions and geographical conditions of Russia as well as abroad. Decision-makers and top-rated specialist, forming main industry and technological trends as well as business approaches to the broad issues of development of ports, shipping, specialized shipbuilding, manufacturing of specialized transport vehicles, transport and hydrotechnical construction and logistics were the Conference’s speakers and delegates. logistics optimization as a way to increase efficiency, covering logistics in remote regions, production logistics, interaction between the ports and railway transport, new construction, modernization and renovation of specialized and auxiliary fleet, IT technologies in the shipbuilding industry, manufacturing, of port and marine equipment as well as maritime transport. At the stage of its development, the agenda included such events as the Conference "Polar Code and safety of ships navigating in ice", round table "On education in the field of maritime activities and education in maritime traditions". Manufacturers of marine engines should think about how to switch marine engines to consume liquefied natural gas (LNG) as fuel. This was stated by Mr. Denis Manturov, Head of the Ministry of Industry and Trade of the Russian Federation at a meeting held at the "Zvezda" plant in St. Petersburg. The above was stated by the Director of the Department of State Policy in the Sphere of Maritime and River Transport of the Ministry of Transport of the Russian Federation Mr. Vitaly Klyuev at the Conference "International cooperation in Arctic: new challenges and vectors of development" which was held simultaneously with the 20th anniversary date of establishment of the Arctic Council. Mr, V. Klyuev observed that the Russian Federation had taken all steps for implementing the requirements of the Polar Code. He also noted that Russia as a Member State of the International Maritime Organization took active part in the development of that instrument. As it is known, the decision to develop an International Polar Code was taken by the International Maritime Organization (IMO) as early as in 1996. Its main objective was to elaborate common rules and requirements for ensuring safe ship operation of vessels and prevention of pollution in ice-covered polar waters. The Polar Code addresses issues related to the design, construction, equipment and operation of polar vessels, including training of crews for sailing in ice conditions and at low air temperatures. The Polar Code contains mandatory requirements as well as guidelines. Conference "Equipment and technologies for the ports: efficient investments" organized by the magazine "Sea ports" and ASOP(Association of Commercial Sea Ports)*, took place on 5 October in the framework of the conference and exhibition TRANSTEC 2016 in St. Petersburg. Traditionally, the conference brought together representatives of the stevedores and manufacturers of port handling equipment. A welcome speech was delivered by the Executive Director of ASOP Mr. Serik Zhusupov. He said that for a long period there has been a significant growth of cargo handling in sea ports. This is due to huge investments from the federal budget as well as to private investments which enabled to construct new modern transshipment facilities which meet modern requirements in terms of labour productivity. These are modern terminals for handling containers, bulk cargoes, mineral fertilizers. Therefore, - he believed, - that at the present conference there will be an opportunity to exchange views, to talk about the current state of equipment and technologies in sea ports and the future of the port industry. Andrey Stepanov, Professor of the Admiral Makarov State University of Maritime and Inland Shipping, noted in his speech that it’s already good that the authorities paid attention to water transport. - But sea and inland waterways require more personnel. He urged participants to provide information about all their innovations to universities in order to train personnel for our ports. New technology items and solutions for port logistics have been presented by the following companies representatives Ardelt Kranbau GmbH, LIEBHERR-RUSSLAND, "Soyuzkomplekt", "ARDEN EQUIPMENT VOSTOK, TEKHNOROS, NPO "Akonit", SGM, Konecranes Corporation, ZPMC, Roxor Industry, RUSKIT, HENNLICH, "Bosch Rexroth", "ELCOM". The status of legislation on labour safety for cargo handling in ports was one of the points discussed. Mikhail Sokolov, Head of the Occupational Safety Branch Centre for Maritime Transport (CNIIMF) noted that the deplorable state of the legal and regulatory framework was one of the main problems in ensuring safety in the sea ports. 70 session of the Committee on the protection of the marine environment (MEPC) will start its work on October,24 in London at the IMO Headquarters. One of the main topics to discuss will be to arrive to a decision on introducing a cap on the sulphur content in ship fuel to a maximum of 0.50% as from 1 January 2020. With a purpose of carrying out a comprehensive analysis of the world’s Maritime community to implement this measure, MEPC will consider a report prepared by the IMO Secretariat containing a forecast of the consequences of the measures proposed. BIMCO (Baltic and international Maritime Counci), the world's largest Association in the field of international shipping), having considered the report, draws attention of interested parties to the lack of information in the report on two key aspects: first, the quality of marine fuel; it is expected to be unsafe both for storage and for use on ships. Second, BIMCO expresses doubts concerning availability of adequate facilities for the fuel refining (purification to achieve the required content). As may be expected, both of these factors will be extensively discussed at the 70 session of MEPC. We plan to make readers acquainted with the decisions of the session upon its closure. During the meeting the parties exchanged information on the dynamics of development of the international automobile transportations of cargoes in the bilateral communication and agreed to continue the implementation of earlier agreements on increasing the share of national carriers and reducing the proportion of carriers of third countries. The Russian delegation noted a serious lack of Hungarian permissions for bilateral and transit transport for Russian carriers in 2015-2016. In this regard, and in order to ensure the principle of freedom of transit, the parties agreed to further exchange of 500 permits for transit transportation of goods in the current year. When discussing the issue of preliminary permissions for 2017, delegations came to the decision to increase the number of transit permissions for Russian carriers on 500 permits. The parties exchanged information on the number of violations of international road transport regulations committed by both countries’ carriers in 2016. The Hungarian Party noted that changes in their national legislation related to the implementation of EU Directives on sending workers on missions as a means of rendering services do not extend to road transport. Minutes of the meeting have been signed. The Government of the Russian Federation, by its Decree No. 1019 of 7 October 2016 "On the Technical Regulations for the Safety of Chemical Products", approved the related Technical Regulations which are to enter into force on 1 July 2021. The Ministry of Industry and Trade of the Russian Federation and the Federal Agency for Technical Regulation and Metrology were given a number of instructions concerning preparatory works to be carried out before the said Technical Regulations enter into force. The Working Party on the Transport of Dangerous Goods (WP.15) which will hold its 101st session in Geneva in November this year will be invited to note that the status of ADR and its Protocol of amendment of 1993 remain unchanged, as it stands in end August. Unless the situation alters later, there are no changes to the status of ADR (48 Contracting Parties) nor to that of the Protocol of amendment of 1993 (35 Contracting States) since the last session of WP.15 which took place in May 2016. The assessment of global resources of oil and gas will be greatly improved with the implementation of a Bridging Document that relates the reserves and resources in the Oil and Combustible Gas of the Russian Federation Classification to the categories and classes of the United Nations Framework Classification for Fossil Energy and Mineral Reserves and Resources 2009 (UNFC). This is the first time UNFC has been bridged to a national classification system. Industry estimates Russia’s reserves at 17.3% of the world’s gas reserves, and 6% for oil. Mr. Orest Kasparov, Vice Chair, Federal Subsoil Resources Management Agency of the Russian Federation (ROSNEDRA), also representing the Ministry of Natural Resources and Environment of Russia, presented the Bridging Document to UNECE Executive Secretary Christian Friis Bach immediately following its endorsement at the 25th Session of Committee on Sustainable Energy in Geneva. Mr. Bach noted "This document provides a concrete linkage between the two classification systems. It will greatly improve global communication in the oil and gas sector. With fossil fuels representing 80% of primary energy in the UNECE region and 90% in the Russian Federation, we need to have a common understanding of fossil fuel reserves and resources if we want to manage them more sustainably and attain the 2030 Agenda for Sustainable Development". Mr. Kasparov stated "The Bridging Document is a very important step in our efforts to enhance international cooperation in the oil and gas industry in Russia. It will allow us to improve significantly the global coordination of reserves and resource estimation." The document was prepared by the Russian Federation State Committee on Mineral Reserves (GKZ) in cooperation with the Technical Advisory Group of the UNECE Expert Group on Resource Classification. In general, Bridging Documents map the relationship between UNFC and another classification system endorsed by the Expert Group as an Aligned System. They incorporate instructions and guidelines on how to classify estimates of that Aligned System using the Numerical Codes of UNFC. The 2013 Russian Federation classification of reserves of oil and combustible gases came into effect on 1 January 2016. It establishes the principles for assessment and accounting of reserves and resources of oil, combustible gases and gas condensate in Russia, while UNFC is applicable to all extractive activities worldwide (including coal, gas, oil, minerals and uranium) as well as renewables and injection projects. The next phase in the cooperation with the Russian Federation on UNFC will involve development of oil and gas case studies to test the Bridging Document. Work will also start to bridge the solid minerals classification system to UNFC. The Bridging Document is available in English and Russian on the UNECE website at: www.unece.org/sed/unfc/rf2013bd.html. The third session of the IMO’s Sub-Committee on Carriage of Cargoes and Containers (CCC) was held in IMO Headquarters in London from 5 to 9 September 2016. In accordance with the Procedural Rules of the IMO’s Maritime Safety Committee (MSC) and its subsidiary bodies, the MSC is at its forthcoming 97th session to be held end November is expected to consider and approve the report of the CCC Sub-Committee; however, due to the narrow gap between the two sessions, MSC will consider only those matters from CCC-3 which are of an urgent nature. approval of two MSC circulars offering unified interpretations to the International Code of Safety for Ships Using Gases or other Low-Flashpoint Fuels (IGF Code)). A full report of CCC-3 will be issued under the identification symbol ССС 3/15; all other items of the outcome of CCC-3 not construed as urgent ones are expected to be considered and approved by the Maritime safety Committee at its 98th session in June next year. According to Federal air transport Agency published 29.09.2016, international civil aviation organization (ICAO) issued an electronic Bulletin from 16.09.2016 No. EV 2016/57 AN 11/2.1 informing States and industry organizations about the concerns related to the safety during transportation as checked baggage portable electronic devices containing lithium batteries. ICAO reports that some States and organizations issue bulletins on issues of safety in which operators are encouraged to require passengers to carry certain types of portable electronic devices in checked baggage and in the passenger cabin of the aircraft, where in the event of an incident can immediately take measures to eliminate its consequences. There are also recommendations not to use these devices and do not charge them in the aircraft cabin. ICAO invites States to encourage their operators to take such measures in respect of all portable electronic devices that can pose a threat to flight safety and stresses the need to ensure that all passengers were aware of apply to the transport of dangerous goods restrictions. The Ministry for Foreign Affairs of Turkmenistan together with the UN Department on Economic and Social Affairs and the International Road Union prepared a preliminary programme for the conference. It is also proposed to include a wide range of issues into the agenda of the Conference. Among them there are: sustainable transport and environmental changes, power production and transport, city transport system and road-transport communications between the cities and villages, investments into the transport branch and its financing, international cooperation in the transport sphere and its legal basis, development of multilateral transport corridors and their infrastructure, traffic safety. Following the outcomes of the Conference a final document is planned to be adopted which will be in the form of a declaration of the countries aimed at further development of sustainable transport meeting the requirements and challenges of today. 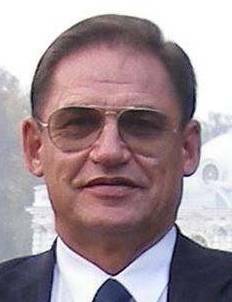 Staff members of the International Dangerous Goods and Containers Association with all their hearts congratulate President of "IDGCA" Moshkov G.Y. on his anniversary and wishes him good health, happiness, strength and energy for the implementation of plans and aspirations! Vice Admiral Moshkov G.Y. is a President of "IDGCA" since 2004 and always with honor and dignity defended and defends interests of the Association and its partners. On August 16, 2016 International Dangerous Goods and Containers Association (IDGCA) celebrate its 15th Anniversary. Within a short space of time IDGCA gained wide recognition in Russia and abroad. IDGCA is actively working within ECOSOS Sub-Committee of Experts on the Transport of Dangerous Goods and on the Globally Harmonized System of Classification and Labelling of Chemicals, taking part in the improvement of international rules regarding the transport of dangerous goods by all modes of transport. Association takes up an active position in the issues of protection of Russian business interests. IDGCA President, Director General and Secretariat congratulate IDGCA members with anniversary and wish professional success to all. From 01 August 2016 International Staff Training Center (ISTC) will conduct qualification upgrading courses on the program "Exploitation of containers transferred out at sea". Courses will be held on the program which was developed dedicated to Sakhalin Energy Investment Company Ltd. Along with theoretical training practical classes with visit to industry are also planning. Flexible and professional approach of ISTC to making educational programs allows taking into account special aspects of companies which maintenance offshore facilities. Sub-Committee of Experts on the Transport of Dangerous Goods has published on its official web-site report of its 49th session. 49th session was held with Mr. Duane Pfund (USA) as Chairman and was attended by experts of 24 countries, representatives of Intergovernmental Organization for International Carriage by Rail (OTIF), International Maritime Organization (IMO), International Civil Aviation Organization (ICAO), Food and Agriculture Organization (FAO), World Health Organization (WHO) etc. As it was previously reported, experts has considered IDGCA informal document related to the transport of liquid fuel in flexible tanks and have noted that there is such practice of liquid fuel transportation is flexible tanks in certain countries. However, most experts considered that these flexible tanks are not "large and robust articles" addressed in 4.1.3.8 of UN Model Regulations and if such transportation was authorized by competent authority this was not to be considered as a generally practice and such use of flexible tanks can be justified and authorized only in exceptional circumstances. At the same time Sub-committee suppose that introducing provisions in the Model Regulations should not be recommended. In framework of implementation of provisions of European Agreement concerning the International Carriage of Dangerous Goods by Road (ADR) Ministry of transport of the Russian Federation has published Order № 98 dated 12 April 2016 "On approval of the Model Additional professional development program for safety advisers on safety transport of dangerous goods by road in the area of international road transport and Model additional retraining program for safety advisers on safety transport of dangerous goods by road in the area of international road transport". After IDGCA experts have reviewed this document they have come to the decision that particular provisions of Order № 98 dated 12 April 2016 are at variance with international and national legislation, and sent a letter to the Ministry of transport of Russian Federation and to the Ministry of justice of Russian Federation with detailed justification of position and request to withdraw particular provisions of this order. In response to IDGCA letter, Ministry of justice of Russian Federation have informed according to the results of legal and anti-corruption expertise the above-stated Order was returned without governmental registration and was withdrawn by order of Ministry of transport of Russian Federation № 160 dated 17 June 2016. Such decision will significantly simplify for national transport companies carrying out of prescribed requirements in obtaining permissions for the transportation of dangerous goods by road. On July 6, 2016 have finished the regular session of ECOSOC Sub-Committee of Experts on the Transport of Dangerous Goods (TDG). IDGCA delegation represented by Mikhail Ognev and Tatiana Rozarenova has also taken part in this event. On 49th session along with other questions on agenda was considered informal document prepared by International Dangerous Goods and Containers Association (IDGCA) related to the transportation of liquid fuel in flexible tanks. Experts accepted this document and agreed with IDGCA position that such type of liquid fuel transportation presented in the document is unsafe and issuing of permissions for transportation by competent authorities (competent organizations) with referring to p. 4.1.3.8 and note to p. 4.1.3.8. of UN Model Regulations is unallowable, because this paragraph and note does not apply to such transport units. As it was shown by speeches of some experts, in some countries such transportation of goods, including dangerous goods, is practiced in such transport units, but only with applying of safety standards, carrying out related tests and issuing special permits by competent authorities. In this regard, experts become interested in this issue, and perhaps for the next session IDGCA, together with experts from Canada and the representatives of the Responsible Packaging Management Association of South Africa (RPMASA) and The European Chemical Industry Council (CEFIC), will prepare an official document regarding development of normative base for this type of transport of dangerous goods within the UN regulations. The results of this session will be reflected in the report of ECOSOC Sub-Committee of Experts on the Transport of Dangerous Goods (TDG) and published on IDGCA web-site. the inclusion of construction and testing requirements for flexible bulk containers. Secretariat of Intergovernmental Organization for International Carriage by Rail (OTIF) will publish new RID on its web-site at the beginning of November 2016 in German, English and French languages. Transitional provision will allow to use RID 2015 up to 30 June 2017.
International maritime organization (IMO) have published new circular MSC.1/Circ.1548 which includes advices for Administrations, port state control authorities, companies, port terminals and masters regarding new SOLAS requirements for verified gross mass (VGM) of packed containers which will enter into force on 1 July 2016. Circular contains information about necessity of providing flexibility to all the stakeholders in containerized transport and to refine, if necessary, procedures for documenting, communicating and sharing VGM information, as well as that packed containers that were loaded on a ship before 1 July 2016 are permitted to be shipped to their final port of discharge without the VGM. International Dangerous Goods and Containers Association (IDGCA) have performed the unofficial translation of IMO circular MSC.1/Circ.1548 at which you can take a look (ссылка на приложение 2). International exhibition of transportation, logistics and customs services, technical means and warehouse technologies "TransBaltic"
"TransBaltic" is the only one in the North-West Russia International exhibition, which presents transportation, logistics and customs services, technical means and warehouse technologies at one site and will be held On 30 November – 2 December, 2016 at the International Conventional & Exhibition Centre EXPOFORUM, St. Petersburg, Russia. Participation in the exhibition will give exhibitors the opportunity to find new customers and increase sales of products or services in the Baltic region. Visitors at the exhibition "TransBaltic" will be able to get acquainted with complex proposals in the field of transport and logistics; to find effective solutions to the issues of logistics and cost optimization for the delivery and storage of goods; get expert advice in the field of logistics and customs practices; to negotiate with providers of services and equipment. St. Petersburg is located on the crossroads of major freight traffic flows and most of the Russian exports and imports are passing through it. New exhibition reflects special aspects of Baltic region’s transport infrastructure for which the logistics is a very important direction of development due to its geographical position. "TransBaltic" is a unique platform for the exchange of experiences gained in this field. "TransBaltic" enters the portfolio of transport exhibitions of ITE Group alongside with TransRussia (Moscow), TransSiberia (Novosibirsk), TransUkraine (Kiev), TransCaspian (Baku), TransUzbekistan (Tashkent), TransitKazakhstan (Astana), TransAsia (Singapore), TransPoland (Warsaw). 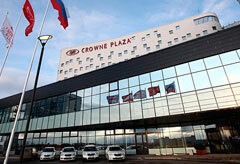 Details of the exhibition are presented at the www.transbaltic-expo.ru. From 27 of June to 06 of July 2016 in Geneva in accordance with presented agenda will take place regular meeting of ECOSOS Sub-Committee of Experts on the Transport of Dangerous Goods. International Dangerous Goods and Containers Association (IDGCA) has prepared informal document related to the fuel transportation in flexible tanks and will participate in the work of Sub-Committee. On the 24th of May, 2016 shall come into force changes to the procedure for issuing a special permit for movement on the road of a vehicle carrying dangerous cargo approved by the order of the Ministry of Transport of the Russian Federation of 04.07.2011, no. 179. The changes made as per the Order of the Ministry of Transport of the Russian Federation of 21.03. 2016 no. 70 (registered in the Ministry of Justice of the Russian Federation on 10th of May, 2016, registration no. 42061). The Order no. 70 specifies that an application for authorization is handed in by the carrier or his representative to the territorial administration of the state road supervision of Rostransnadzor at the place of state registration of the carrier or the location of its branch (representative office). To the application a copy of the certificate of training of an adviser on safe transportation of dangerous cargo must be attached also. It has been established that the application is registered by the owner of the highway within 1 working day from the date of its receipt, including registration in departmental information systems or in a single system of interdepartmental electronic interaction if these systems are in use. Approval of the route of a vehicle carrying dangerous cargo, is being given by the owners of the roads within 4 working days from the date of receipt from the authorized body of the corresponding application. Also now the authorized body refuses to issue a special permit in the case of non-compliance of declared dangerous cargo to ADR requirements to ensure the safe transportation. "IDGCA" is ready to provide an advice to carriers in the correct understanding of ADR requirements as well as of the Order of the Ministry of Transport of the Russian Federation of 03.21.2016 no. 70.
International Staff Training Centre (ISTC) accepts applications for the training of advisers on safe transportation of dangerous cargo. July 1, 2016 in Russia, comes into force a resolution of the International Maritime Organization (IMO) MSC 380/94 relating to mandatory verification of the gross mass of a packed containers intended for the transport by sea and covered by the requirements of the International Convention for Safe Containers (CSC). However, the requirements of above-stated resolution do not apply to the containers for the transport on coasting vessels and ro-ro ships under certain conditions. Weighing of individual cargo items (units) and the addition of cargo weight to the mass of the empty container. Although elementary procedures, the IMO has designated the possibility of certification and / or approval procedure of weighing and companies involved in the weighing of containers. Moreover, certification and approval takes place only in the event that the company is using 2 method for determining the weight of the loaded container. Experts assume that some organizations approached the Department of State policy in the field of maritime and river transport can earn good money for the certification and approval of companies. In particular, the FAA "Russian Maritime Register of Shipping" (RS), which is pretending for monopoly right to conduct inspection of companies in accordance with this circular, sent out across the country a circular letter, which contains rules for the inspection of companies engaged in weighing containers. Moreover RS rules in some sense "outdid" IMO recommendations, according to which the RS is going to examine all companies involved in the weighing of containers, regardless of which method of weighing is used. The rules themselves are strange enough and issued incorrect. It can be assumed that they were prepared and signed by not enough competent person. It is worth noting that the procedure is called "documented" and in the title of the rules instead of determining the weight of containers is written determining of verified mass of containers. If the mass is already verified, then why do it again? Some shippers have been caught off guard by circular letter of RS, which was released 1.5 months before the entry into force of the IMO circular. On the website of the Ministry of Transport of the Russian Federation there is also no information about the upcoming changes in the international rules which can lead to certain difficulties and additional costs for shippers. Enough correct recommendations to shippers were published on the website of "CNIIMF", which also expresses concern about the fact of absence a legally issued orders for a monopoly right of RS to carry out inspection of companies and which encourages shippers to use the first weighting method that does not require certification or approval of any competent authority. 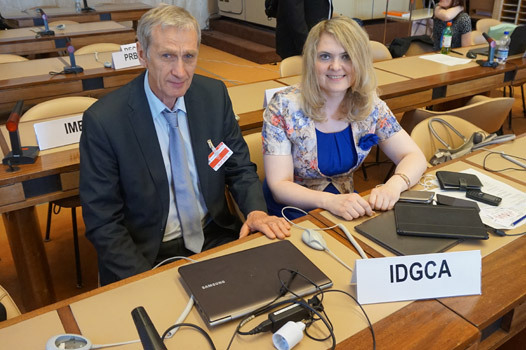 International Dangerous Goods and Containers Association (IDGCA) have prepared proposal for the ECOSOC Sub-Committee of Experts on the Transport of Dangerous Goods (TDG) concerning the use of flexible tanks installed into the general cargo containers for the transportation of fuel. 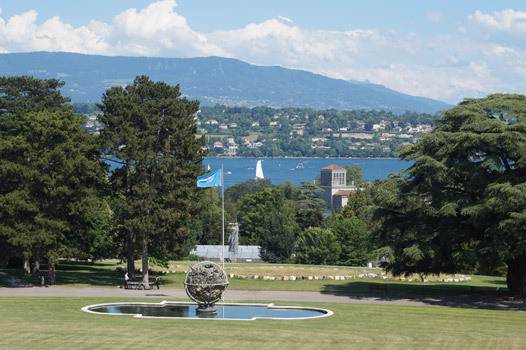 Proposal will be considered on the 49th session of TDG Sub-Committee (27 June – 6 July, 2016, Geneva). Current practice of liquid cargoes transportation in such transport units and absence of the requirements for them were used as a reason for the submission of this proposal. Another reason - recent experience (ссылка на новость от 23.03.2016) which has taken place in Primorski Krai when administration of Vostochny port was afraid for safety of sea carriage and stopped the shipment of fuel (UN № 1202) in such transport unit. Responsible Packaging Management Association of South Africa (RPMASA), with which IDGCA has signed Memorandum of Agreement, has shown its interest for this issue too. Regular offsite courses of International Staff Training Centre (ISTC) for training of advisors (consultants) on safe transportation of dangerous goods have ended. 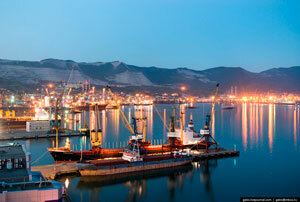 Course participants were divisional managers and engineers of PJSC "Novorossiysk Commercial Sea port". Along with the established program students were also introduced with the changes to international normative documents, which will come into force in the nearest time. In particular, considerable interest was expressed regarding a new amendment to the SOLAS Convention (SOLAS 74), concerning the verification of the gross mass of a packed container prior to its shipment by sea. Course participants have demonstrated good knowledge in the field of transportation and handling of dangerous goods. Information about the specialists who have received training will be listed in the list of safety advisers on IDGCA web-site. 18th of April 2016 under the chairmanship of Mr. Arsenio Dominguez (Panama) has begun its work the 69th session of IMO's Marine Environment Protection Committee (MEPC). Among items on the agenda - implementation of the International Convention for the Control and Management of Ships' Ballast Water and Sediments, proposal from the Philippines to designate the marine area known as the Tubbataha Reefs Natural Park and effective date for the application of the Baltic Sea Special Area under MARPOL Annex IV. VI International forum "Transport security"
April 6, 2016 in St. Petersburg, at the Crowne Plaza Airport Hotel, was opened VI International forum "Transport security". The event was attended by representatives of the State Duma, line ministries, agencies, scientific organizations, as well as business representatives. Despite longstanding a polemic about what includes the concept of "transport safety", the question of whether it is possible to clearly separate activities aimed at the prevention of terrorist acts from general measures aimed at the prevention of technogenic accidents and incidents was relevant in this forum. The most active discussion was at the working session which was dedicated to the theme of maritime infrastructure and navigation safety because there are a lot of problematic issues in this area related to the legal regulation at maritime transport and seaports. Forum ended on April 7, 2016 with a round table on which there was an exchange of opinions of all participants. All the events were held at the highest level for what the participants expressed their deep gratitude to the organizers. Kirovsky regional district court’s decision concerning the administrative offence of shipping company LLC "Odyssey Shipping" (ссылка на новость от 12.02.2016) which was carried out the transportation of dangerous good kerosene (UN № 1223) in tanker without including this tanker into the list of objects that are used for the transport of dangerous goods by inland waterway and sea of annex to the license to carry out the activities related to the transportation of dangerous goods by inland water and sea transport. LLC "Odyssey Shipping" validates its complaint by means of kerosene is not a dangerous good and that company didn’t carry out its activity without license because at the moment of kerosene shipping only annex to the license was re-issued. However, after LLC "Odyssey Shipping" and Astrakhan line department of Rostransnadzor Directorate for State of Maritime and River Supervision produced their reasons, court didn’t find any reason to repeal of decree and decided to dismiss an appeal of LLC "Oddysey Shipping". Thus, the court has admitted that the actions of Astrakhan line department of Rostransnadzor Directorate for State of Maritime and River Supervision were reasonable and legal. IDGCA upon the request of Rostransnadzor has prepared its opinion on this issue. Administration of Vostochny port has intermitted the shipment of high-capacity container with flexible tank with a capacity of 24 000 liters filled with fuel oil UN № 1202. The shipper responsible for the shipment of this cargo was unable to submit to port authorities the sufficient proof that transportation of this cargo transport unit aboard a ship will be safety and conforms to the requirements of national and international rules for the transport of dangerous goods. Submitted by shipper certificates and conclusions issued by Russian Maritime Register of Shipping (RS), as well as test reports performed in JSC "Marine cargo bureau", have raised port authority doubts in a part of their objectivity and truthfulness. As a positive fact of this story can be mentioned the competence and knowledge of Vostochny port administration which has decided to intermit the shipment of cargo despite the pressure exerted on it on the part of the shipper. Representatives of port authority which were involved in the inspection of the transport unit and the decision-makers have been trained in the training center of "IDGCA" and perhaps this has helped them to take a right decision. 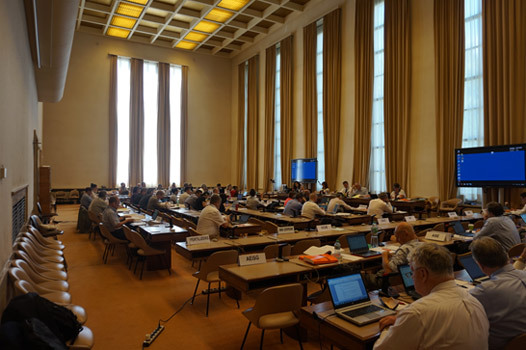 From 8 to 11 of March 2016 in Geneva took place 168th session of global meeting on the agreement of the rules in the transport vehicles sphere of the UNECE Inland transport committee. Mr. Alexander Morozov, Deputy Minister of Industry and Trade of RF, Mr. Alexey Kuleshov, Deputy Director of Federal Agency on Technical Regulating and Metrology, representatives of FSUE "Central research and development automobile and engine institute" and FSUE "State Scientific-Research Institute of Motor Transport" were members of the Russian Federation delegation. review of Geneva accord 1958. Prospect of the developing industry of intelligent vehicles theme was also mentioned. Development and agreement of mandatory requirements for autonomous cars will provide the safety of traffic environment with their participation and will increase the technological development level of vehicle blocks construction. International Dangerous Goods and Containers Association (IDGCA) in cooperation with its partners – JSC "Russian Register" and LLC "National Bureau of Expertise" have developed and implemented in 2006 Approved Continuous Examination Programme (ACEP) for one of the biggest containers owner in Russia PJSC "Transcontainer", which is in its turn IDGCA member. ACEP was developed in accordance with the requirements of International Convention for Safe Containers (CSC) and taking into account the global practice of large capacity containers exploitation. In 2006 ACEP was approved and registered by Russian competent authority – Federal service for supervision in the sphere of transport under number 001/06 RU. Recently ACEP was included in ACEP data base of the Bureau International des Containers et du Transport Intermodal (BIC) which has taken the initiative on the voluntary global registration of ACEP programs. IDGCA has also developed sample ACEP program on the basis of which ACEP can be developed and implemented for Russian and foreign containers owners. IDGCA and its partners offer full range of services related to the development, approval, implementation and registration of ACEP including registration in BIC register. Training of personnel which is carrying out the technical position control of containers can be conducted on the basis of International staff training center (ISTC). 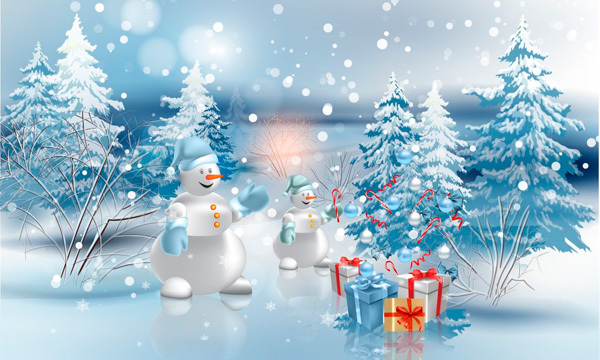 We wish you warmth, family welfare and happiness and love! 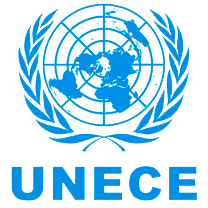 78th session of UNECE Inland Transport Committee begins on 23rd of February, 2016. State Secretary/Deputy Minister of Transport of Russian Federation Sergey Aristov made a report on the implementation of informational systems in railway transport. After that, took place the meeting of Sergey Aristov with Eva Molnar, Director of UNECE Sustainable Transport Division. During this meeting questions of key areas of Committee work in the sphere of railway, road and inland waterway transport were discussed. 78th session will last until 26 February 2016, after which the report on its work will be presented. Guidelines on oil spill response in ice and snow conditions. 4th session of PPR Sub-Committee during which the work on the above stated documents will be continue, will be held from 16 to 20 January 2017. In accordance with part 5 of article 108 of the Federal Law of December 29, 2012 № 273-FZ "On Education in the Russian Federation," the Ministry of Justice of RF has approved the new version of the charter of the International Staff Training Centre (ISTC), which is a 100% subsidiary of International Dangerous Goods and Containers Association ("IDGCA"). At the same time the institution's name was changed in accordance with the requirements of the legislation on the following: "Private foundation of supplementary vocational education "International Staff Training Center". In accordance with this, the Education Committee of the Government of St. Petersburg issued ISTC the renewal of the license to conduct educational activities. ISTC is one of the few educational institutions in Russia which is conducting training in the sphere of dangerous goods and containers transportation. Council’s decision will be effective 1 April, 2016 and pertains only to Lithium-ion batteries shipped as cargo on passenger aircraft, and not to those contained in personal electronic devices carried by passengers or crew. From 29th of February to 4th of March ISTC will conduct comprehensive training of MSCC "Bronka" personnel. Training will be conducted within the requirements of international normative documents related to the transportation of dangerous goods and containers. 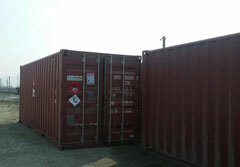 Special attention will be paid to the maintenance and operation of high-capacity containers. Late December 2015 the Government of Russian Federation has adopted a resolution concerning the overlapping of the positions of Deputy Minister of Transport of Russian Federation and Head of Federal Marine and River Transport Agency. On 8 of February 2016 Head of the Government of Russian Federation Dmitry Medvedev has signed the resolution № 179-p about designation of Viktor Olersky to the position of Head of Federal Marine and River Transport Agency. Judicial dispute between Rostransnadzor and shipping company LLC "Odissey Shipping", which is carrying out transportation of kerosene in tanker. Earlier Kirovsky regional district court of Astrakhan have hold that kerosene, when transporting in tanker, is not a dangerous good because of the fact that requirements of International Maritime Dangerous Goods Code (IMDG Code) do not apply to the transportation of dangerous goods in tankers. Astrakhan regional court Astrakhan Regional Court did not agree with the arguments of the Kirovsky regional district court of Astrakhan, as a result the case was reviewed. LLC "Odyssey Shipping" has a license to carry out the activities related to the transportation of dangerous goods by inland water and sea transport, the annex to which contains the list of objects that are used for the transport of dangerous goods by inland waterway and sea. However, the vessel on which dangerous good kerosene (UN number 1223) was transported was not included to the annex of the license that, on court’s opinion, is infringement of the Federal Law of 04.05.2011 number 99-FZ "On Licensing Certain Activities". Kirovsky regional district court of Astrakhan has convicted the shipping company "Odyssey Shipping" guilty of committing an administrative offence and sentenced it to the administrative fine in the amount 400 000 rubles. 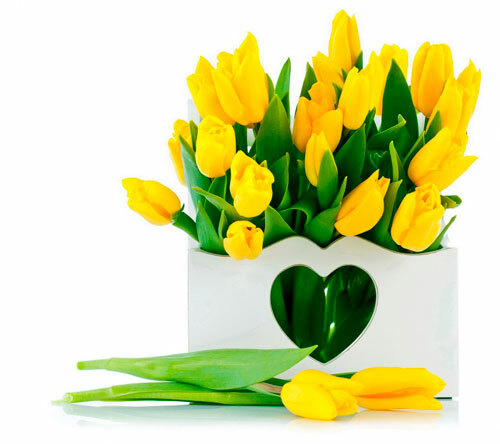 From 14th to 18th March, 2016 in Bern will take place Spring session of RID/ADR/ADN Joint Meeting in accordance with provisional agenda. Among issues under discussion –proposals for new sections and amendments concerning training and dangerous goods safety adviser and report on the 2nd meeting of the Informal working group on inspection and certification of tanks. From 11 to 13 January 2016 in the UK Department of Transport in London (United Kingdom) took place regular meeting of the Informal Working Group of UNECE experts on the inspection and certification of tanks. Representatives of Belgium, Finland, France, Germany, the Netherlands, Norway, Poland, the Republic of Ireland, Sweden, Switzerland, the United Kingdom, International Tank Container Organization (ITCO), International Union of Private Wagons (UIP) and International Association of the Body and Trailer Building Industry (CLCCR) and International Dangerous Goods and Containers Association (IDGCA) in the person of General Director Mr. Mikhail Ognev have participated in the work of the Informal Working Group. Experts continued the discussion of questions related to the inspection requirements, requirements for non-destructive testing, etc. Report of this meeting will be presented on the March session of RID/ADR/ADN Joint Meeting which will be held from 14 to 18 March, 2016 in Geneva (Switzerland). Next meeting of the informal working group will be held in July, 2016 in London.